Update: Reports confirmed that on 12 August 2014 he has been transferred to Al-Malaz prison in Riyadh. The Gulf Centre for Human Rights (GCHR) has received reliable information that on 11 August 2014, human rights defender Waleed Abu Al-Khair was forcibly taken from Buraiman prison in Jeddah to an unknown location. Local sources confirm that he was ill-treated during the transfer and hit by a security officer who dragged him on the ground. Waleed Abu Al-Khair was jailed on 15 April 2014 on trumped up charges following an unfair trial, which did not follow due process. He was handed a sentence of 15 years in prison and a travel ban of equal duration, and a fine of 200,000 SR. (approximately $53,300), which was upheld by the Specialised Criminal court on 6 July 2014. The charges relate to his political opinion and beliefs, and his human rights activities. He decided not to appeal the latest verdict by the Specialised Criminal Court as part of his decision not to cooperate with this court as he believes it lacks legitimacy to handle his case and should deal only with terrorism related cases. Recently he refused attempts by authorities to transfer him to a prison in Riyadh and preferred to be close to his family who lives in Jeddah. As part of the on-going systematic ill-treatment against him, his wife, human rights activist Samar Badawi, has not been allowed to visit him yet. Abu Al-Khair is a human rights lawyer and founder and director of the Monitor for Human Rights in Saudi Arabia (MHRSA). 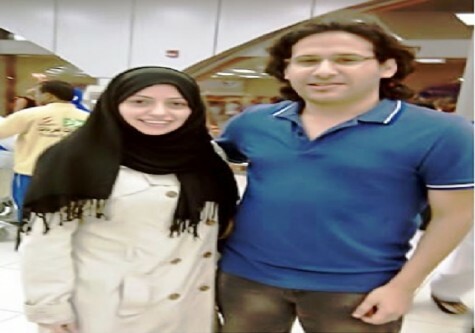 He was held in Buraiman prison with criminals convicted of offences including robbery, drugs and prostitution despite the fact that he is a prisoner of conscience. For further information, kindly see previous GCHR appeals: http://gc4hr.org/news/view/688, http://gc4hr.org/news/view/673, and: http://gc4hr.org/news/view/702. The GCHR is extremely concerned that Waleed Abu Al-Khair’s continued imprisonment is a further attempt to dissuade him from continuing his legitimate and peaceful activities in defence of human rights in Saudi Arabia. Indeed it is designed to dissuade other human rights defenders from their work. Deep concern is also expressed at reports that he has been subjected to ill-treatment and that, while his health needs close attention, he has been denied access to adequate medical treatment.